This land is all about living on the ocean. 180 degrees of blue sea, salt air and the sound of waves hitting the shore, the last thing you hear at night and the first thing in the morning. Nine acres provides privacy on both sides of a large level area suitable for building. While distinctly a rural setting along the Cape Breton Western sunset coast, the location is just 15 minutes from major shopping and all the necessary amenities. The drive is easy, too, over a paved coastal highway that is well maintained year round. A short drive in the other direction gets you to the beautiful sandy provincial park beach in Port Hood, then the Cabot Links Golf Course and a bit further along to the Margaree River, well known for salmon fishing. 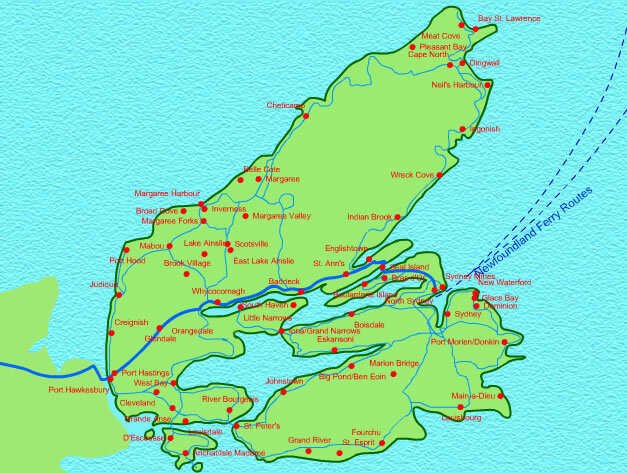 The area is also the heart of Celtic Music on the island. This is an elevated site with land well above St. George's Bay, so you can safely watch storms and large rollers come directly at you without any concern for flooding or erosion that would impact a dwelling. 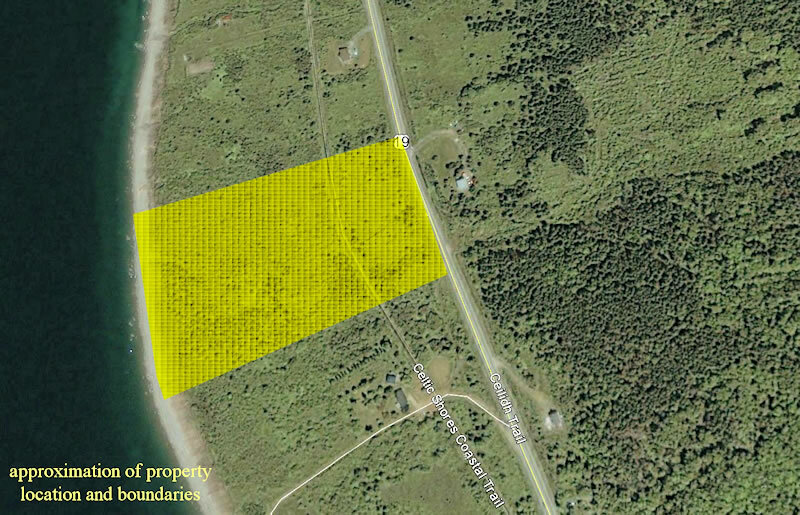 A pretty spot, good location, land is surveyed and the price is reasonable. There's a for sale sign at the road on the property so you will know where to go to appreciate the view. 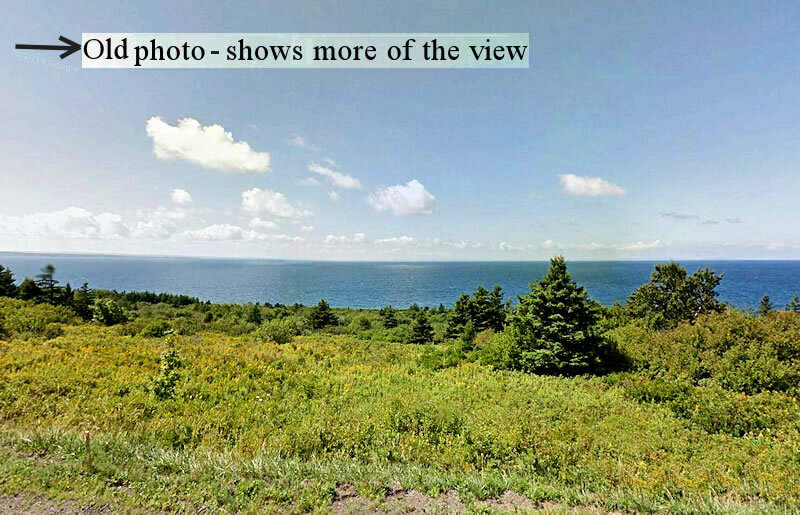 This property has spectacular views of the local countryside and ocean, with beautiful ocean sunsets and close access to the warmest salt waters on the Gulf of St. Lawrence. Please call Tom @ 866-325-1001 (756-3073 locally) or look for Tradewinds sign on Hwy. 19 @ Creignish. 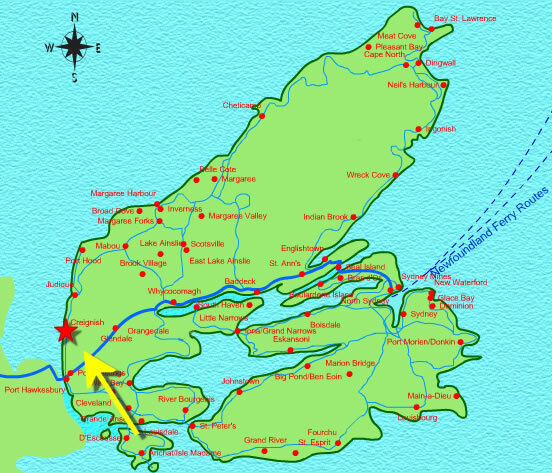 Port Hood is approximately a 20 minute drive from this location and Port Hawkesbury is about 10 minutes. The latter has all shopping facilities; the former has groceries, restaurants and other amenities but on a reduced scale. A boat tour from nearby Little Judique Harbour takes visitors to Port Hood Island and offers an excellent opportunity to see whales and bald eagles. At Harbourview, the Chestico Museum highlights the history of the settlement and growth of the Port Hood region. Port Hood, a full-service fishing community, is the county seat of Inverness, the second-largest community on the Ceilidh Trail, and the step-dancing capital of Cape Breton. The village's scenic beauty is enhanced by magnificent views of Port Hood Island just offshore. The island's green meadows, brightly painted houses and high bluffs make it a favourite subject for photographers. There is also privately owned Henry Island in the immediate vicinity visible from the town's shore. The area around Port Hood is known for delightfully warm waters and fine sandy beaches at Port Hood Provincial Park, Court House Beach, and a number of others on the Colindale Road. Port Hood marks the beginning of the Mabou Highlands, ancient rolling coastal hills that extend inland to Lake Ainslie and north to Inverness, reaching almost 300 m (1000 ft.) in height in places. The western shore of Cape Breton is exposed to the north and west winds of the Gulf, yet its waters are the warmest. The locations, such as this property, that provide protection from the wind are rare on this coastline and afford the opportunity to enjoy sheltered, warm waters and magnificent sunsets. The preservation of grassroots Celtic culture through music. Offers tours, performances and classes. Also included are interviews and archived materials. Shopping, services, community, industry, photo gallery, education, events, recreation and tourism. This town is the nearest major shopping area for residents all on the Trans Canada Highway up through Baddeck as well as south to the St. Peters area. Rather brief summary of the town. A sizeable offering of area photos of good quality. For area news - this is the web site of the local weekly newspaper, The Oran. A very comprehensive site. Has good links pages and a very nice photo gallery.